In this program, MAP’s gallery is made available to an emerging curator or curatorial team to develop a creative, curatorial vision as part of a 9-month mentored partnership initiative. 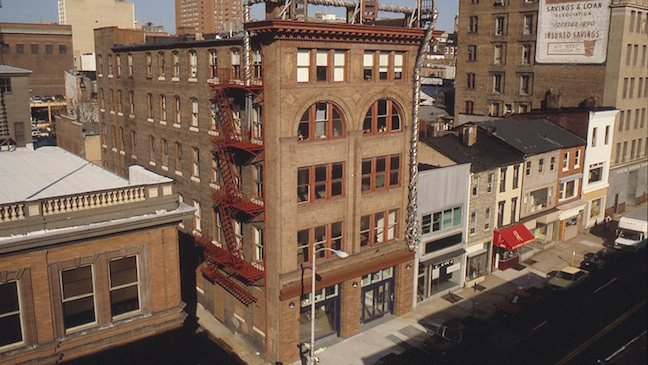 The program provides approximately 2,200 square feet of gallery space in downtown Baltimore, located within the Bromo Arts District. To view the full prospectus click here! To download the application, click here! The application for the Summer Curatorial Program is now open! The deadline has been set on March 31th, 2016. We would like to remind you that our program is designed for people with some experience in any of the following areas of contemporary art: curatorial studies, theory and philosophy of art, art history, art management and art production, visual arts, fine arts, arts and new media, architecture, interior architecture, photography, interior decoration, installation, design, theater, scenic design and music, as well as university graduates in the cultural studies field and literary studies. The program is also suitable for candidates who have acquired certain curatorial skills through practical experience. To apply it is necessary to submit the application form together with a CV and a short resume explaining the reasons you are applying to the Course before the 31th of March 2017. The AAMC Foundation Engagement Program for International Curators, made possible with major support from the Terra Foundation for American Art, is a two-year Program for three non-US based curators and three US Liaisons working on or having worked within exhibitions and projects that explore historic American Art (c. 1500-1980), including painting; sculpture; works on paper, including prints, drawing and photography; decorative arts; and excluding architecture; design; and performance. The Program offers numerous benefits for Awardees, including travel funding. Through fostering international relationships between curators, the Program aims to not only provide opportunities for professional development and exchange, but also to expand and strengthen the international curatorial community and give primacy to the curatorial voice in the international dialogue between museum professionals.The Program will be an active part of building international partnerships, leading cross-border conversations, and spearheading international representation within AAMC’s membership & AAMC Foundation’s efforts.